Place into saucepan butter and milk. Warm on the low heat. Butter should melt, milk warm until 40 degrees. Remove from the heat and add yeast, sugar, cardamom, and salt. 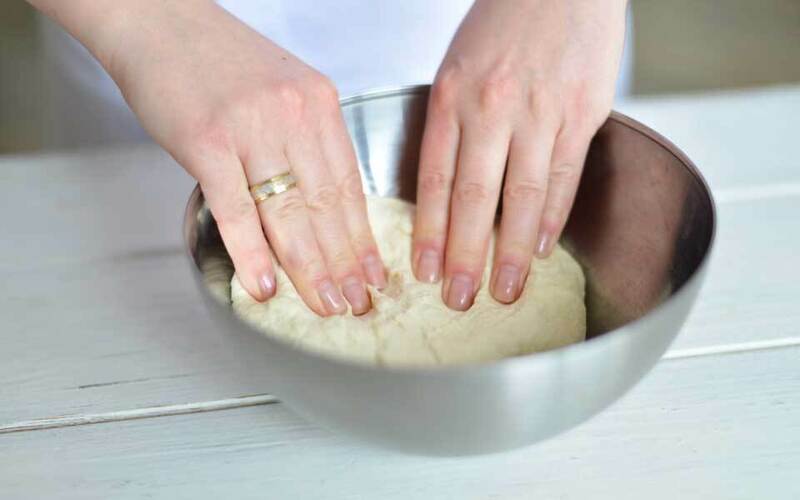 Add flour gradually and begin to knead the dough. It should be really soft. Leave it in a warm place. When the dough rises, knead it once again and form 60 gr. balls, spread them with whisked egg and bake at 200 degrees for 10-15 minutes. 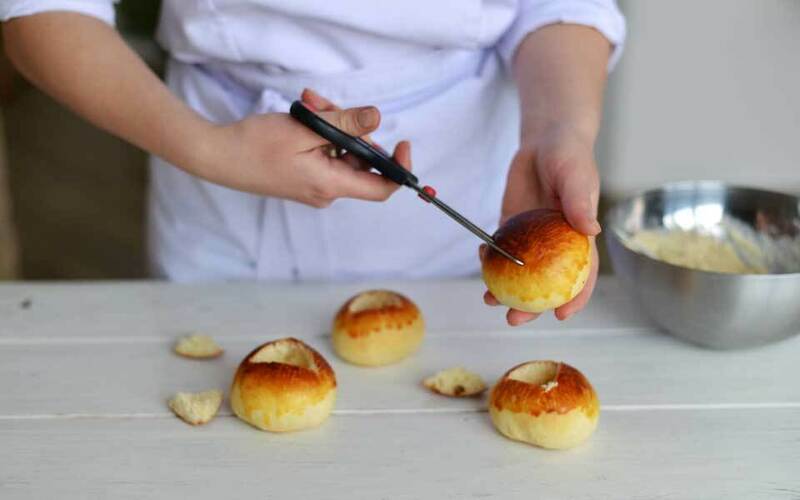 Let baked buns cool and then make a small cuts inside. 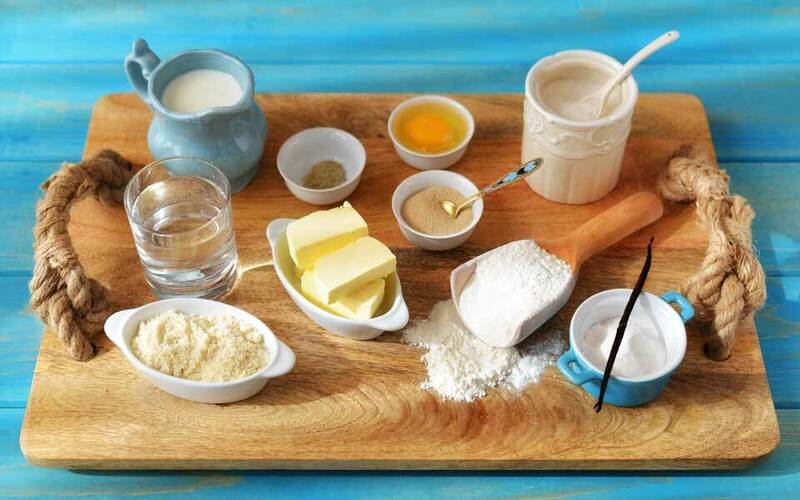 Make marzipan: Mix almond flour, powdered sugar, and vanilla, pour with cream and water. 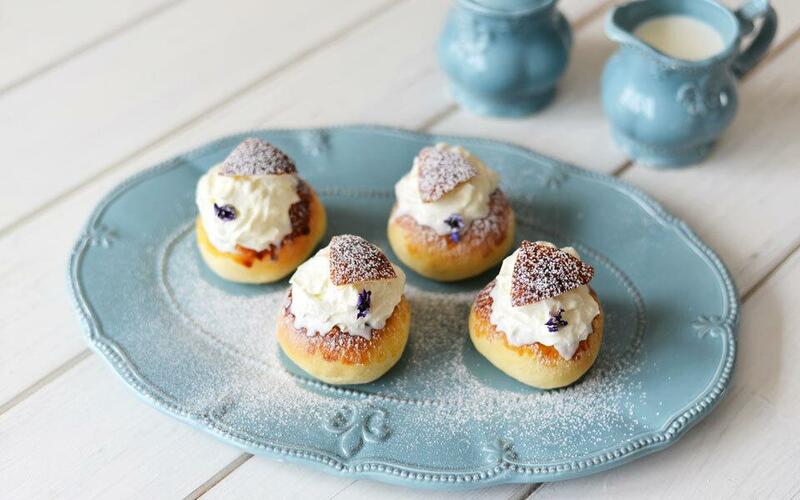 Knead the dough and put small pieces of marzipan in every bun. Whisk cream and sugar. 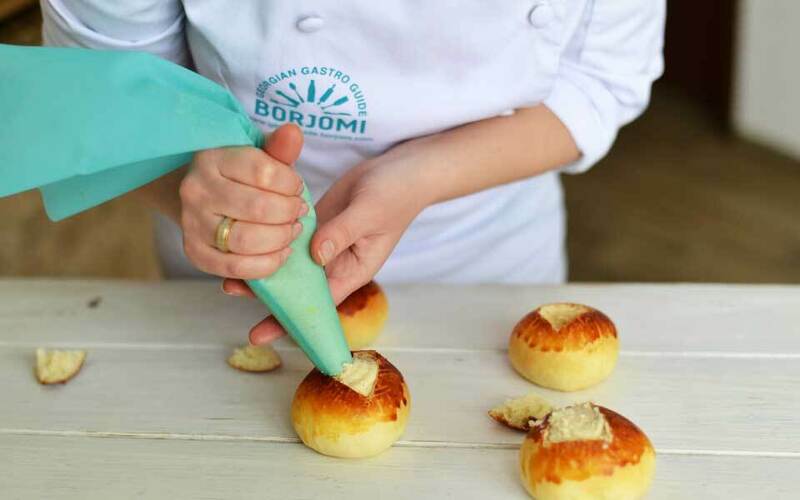 Place the creme in a baking bag and top every bun. Top every bun with pieces of dough, which you cut out to place the marzipan. Sprinkle with powdered sugar.